We have potential clients call and ask what our Deep Cleaning process includes? And the simple answer is that it includes everything. Really the best way for us to describe it is to just let you see it. We’ve created this video of a deep cleaning walk through before and after the process is completed. Through the video we try to let you see each area of this particular home and the attention that it received. Deep Cleaning literally does include the whole package. Kitchen? Yes! The dishes get washed, all appliances are cleaned including the refrigerator and stove. All items are put away in their respective places. The counters and table are all cleaned spotlessly and even the salt and pepper shakers get a good scrub down. Afterwards the floors are swept and mopped with waxing done if necessary. The living room, bedrooms, and bath are all cleaned and organized. 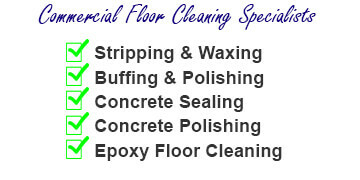 Floors are swept or vacuumed and if it’s necessary we even do carpet cleaning. Shower stalls, sinks, and mirrors are cleaned along with any glass that needs it. All of the furniture is cleaned, wood tables dusted and waxed, everything is tidied up very nicely and organized. Beds are made and items put where they need to be. Utility rooms are cleaned and reorganized so that they can pass any inspection. When Do Customers Hire Deep Cleaning Services? There are a lot of reasons people will hire us for a project for their home or business. Maybe it’s an upcoming inspection. Or maybe you just have been working double shifts for a solid month and haven’t had the time to dedicate to your normal cleaning routine. A lot of people have us do a deep cleaning on a home they’re trying to sell. And sometimes they’ve bought a foreclosed property that was left in less than great shape. Regardless of the reason we are the Premiere Deep Cleaning Company in Central KY and would like to bid your next deep cleaning project. Call us, or use our form and we’ll get you scheduled! Today we will show you how to remove 100% of a wine spill or stain from your carpet. For those of you who may be having a party, or occasionally kicking back on a Friday night we understand that. After all accidents do happen. With these 3 simple steps we will show you how we are able to remove 100% of that spill or stain and save the life of your carpet. Step one is to remove the excess wine by using a dry cloth. Place the cloth over the stain and apply downward pressure. Allow the cloth to wick the wine up out of the carpet. It’s important not to scrub or rub the stain. Doing so will only push the wine deeper into the fibers of your carpet and make it harder to remove. Gently apply pressure and let the dry cloth do it’s job of wicking the excess wine into itself. Now that we’ve blotted out the excess wine, we apply an advanced stain removing solution. We’re careful to apply it from the outside and work toward the inside as it’s applied. This contains the stain in it’s original area and keeps it from spreading out to the surrounding area of your carpet. We will allow the solution to dwell on the stain for no less than 15 full minutes so it can do it’s job. After the advanced stain removing solution has had a dwell time of 15 minutes. We use our truck mounted extraction machine and extremely hot water (180-200 degree) to extract the last bits of the wine from your carpet. As you can see from our video, all the wine is removed, and the carpet is completely dry. A simple cleaning tip to remember is to take a simple cleaning cloth and lightly press. Never rub or scrub a stain or spill. Just lightly press or tamp it with a clean cloth and remove any excess liquid. After you’ve completed this simple step, contact us and we’ll come out and handle the rest for you. Welcome to Our Cleaning Services Blog! We’re finally publishing our new website and are pleased that it has a blog. We hope that you stop in often to read news about all things cleaning. We’ll also try to post some of our youtube videos and other useful cleaning resources here. Lexington KY, and the surrounding cities are a beautiful part of our country and we’re proud to represent our industry and region online. A great thing about having our blog is that we have a platform to discuss and critique future cleaning news and related industry updates. Like all things related to business, competition in the market is pretty stiff. There are always new products, techniques, and tools being developed. 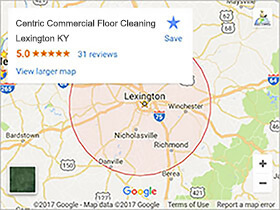 We believe in staying on the cutting edge of the cleaning industry, so we’re in a great position with our blog to be able to share this information with Lexington residents and business owners. So please come back often and check up with us. In the meantime if you need cleaning services in Lexington Ky or Nicholasville, Georgetown, Richmond, Frankfort, and Winchester KY. Get in contact with us. We would be more than happy to quote you accurate pricing on your next upcoming project!